Maria La Grue had family origins in Venice, a childhood in Melbourne and now lives on Flinders Island in Bass Strait. Maria's background is in textile printing and fashion design and she has been an Award finalist in the National Wool Awards. 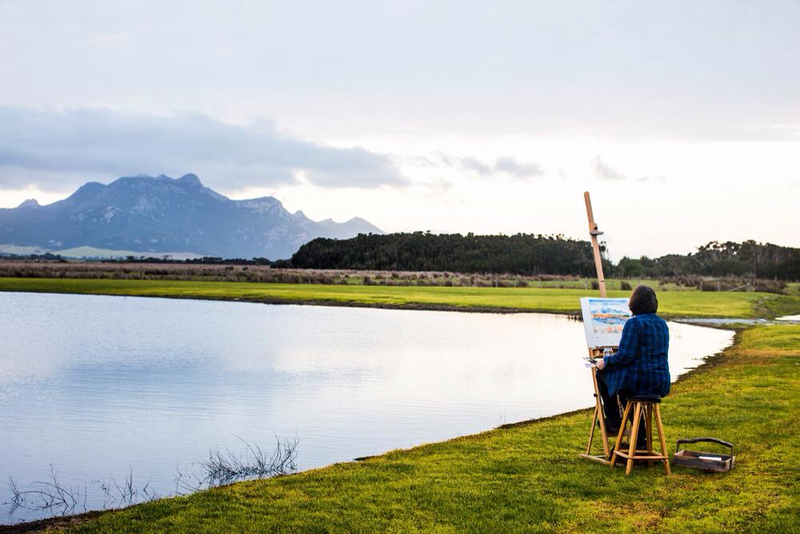 Maria has always practised painting alongside her textile printing business and since moving to the island 8 years ago, she has taken the opportunity to focus full time on her painting practice. The Tasmanian landscape is the inspiration for Maria's current work. 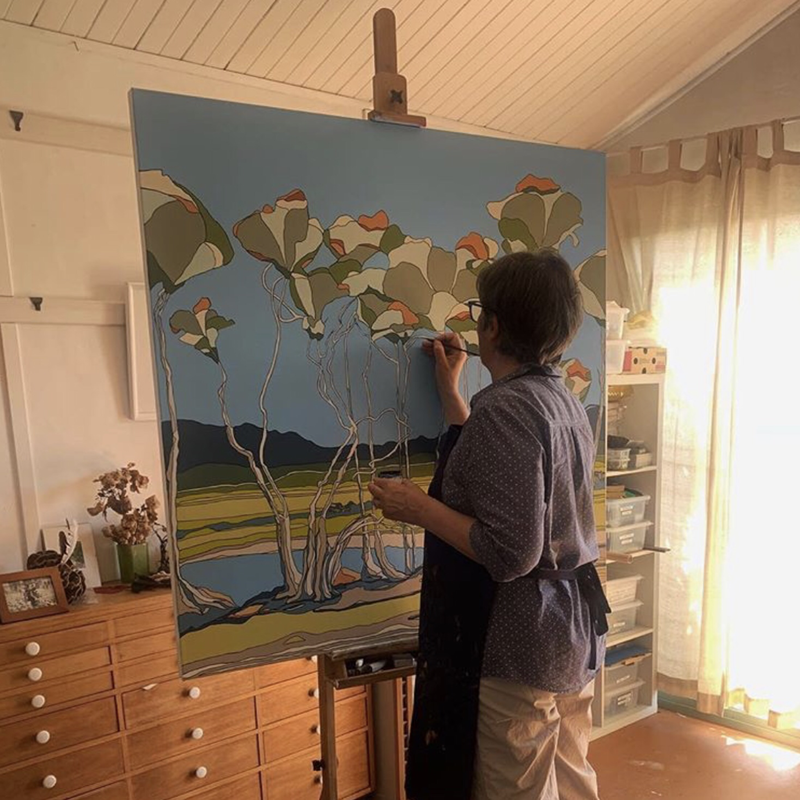 On Flinders Island Maria offers private tuition in her studio. Participants can explore many techniques and mediums and Maria aims to instill a love of visual art to clients of all ages. Teaching inspires her own enthusiasm for exploration and experimentation.